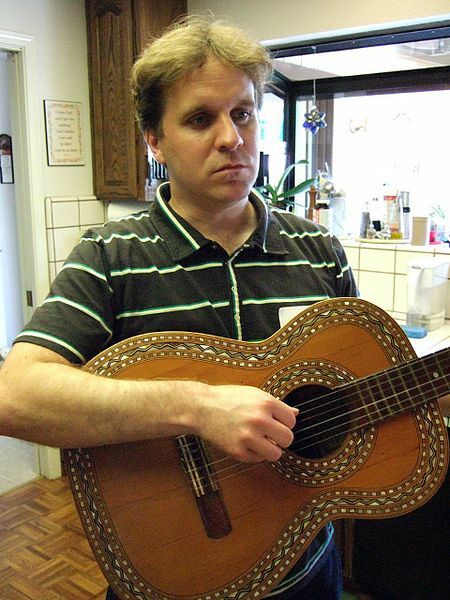 Douglas Laustsen and I recently assembled and arranged the music for the game Sling-It! (Pollushot 2) by Greg Lobanov. For more information about the game, you can go here. I can tell you the mechanics are awesome and it’s super addicting. The music is nice too haha. Anyhow, Greg had a very clear vision as to what he wanted for the game, music wise, so I asked him if I could sit down with him for an interview. We didn’t really “sit down” I guess…. this “interview” was conducted via email earlier this week (3/11). Enjoy! Classical Gaming: It must be really exciting to be a gamer who actually… well… MAKES GAMES! What originally inspired you to pursue game development? Greg Lobanov: One characteristic that really separates me from people is my fascination with simple mechanics. The best example I can think of that is an anecdote my mom likes to share about me, which is that when I was very young I’d regularly come across string on the floor and busy myself with it for literally hours (made me pretty easy to take care of). Everybody on some level likes to play with things; that’s why we like games. But whatever that acumen is, I seem to possess it in a bigger than normal amount. I think that’s informed everything I’ve made, one way or another, and it made games a very natural pursuit. Telling a good story in a game has a lot to do with being able to create a fun make-believe the way kids do with their toys. And making a game that feels good and is fun to play involves tapping into that inherent “play” feeling we all have. Plus, I just love making things, and games if nothing else are wonderful as big projects which you can sink an endless amount of thought, creativity and effort into. So, yeah… I firmly believe that making games is what I was meant to do. CG: Obviously, and you stated this to me during the production of Sling It!, you feel that music in video games is very important. What are some of your favorite soundtracks? Composers? GL: I love video game music. I listen to it almost exclusively these days, for better or worse. When I’m talking about “favorites” in video game music I’m rarely talking about an album or a composer, but rather, specific songs. I think that’s because individual pieces are tied so closely to particular game moments, and so when considering an entire soundtrack or an artist there’s always some specific shining stars in the lineup which stand out to me rather than seeing the entire soundtrack as a single unit. That’s not to say I don’t have my favorites. I’m just saying this preface the fact that my favorite game soundtracks are naturally the same as my favorite games. My absolute favorite soundtracks are those of Earthbound and Zelda: Wind Waker. I don’t remember particular names associated with Earthbound, but I do know it has a lot of associated musicians, and its music is I think a particularly unique expression of many different artists coming together at a moment in time. Zelda, meanwhile, has Koji Kondo. Wind Waker’s best moments didn’t all come from him, but he’s an obvious individual whose music is consistently great whenever he makes it. If I had to name a favorite video game composer I think I’d have to default it to him. But really, favorites aside, I listen to a lot of different soundtracks and composers, almost indiscriminately. CG: You made some very interesting choices for the music to Sling It! (Pollushot 2). Why did you pick the music you picked? GL: To score the original game, Pollushot, I wanted something that would be easy to get, free to use, and sound right for the game. I quickly landed on classical music, and used a license-free version of Danse Macabre for the game, which worked surprisingly well. So it started as a choice of convenience, but I think it came to be an actually significant piece of the game’s portrait. Coming into the sequel, I’d seen how well classical music had worked, and wanted to use it again but this time without restricting myself to free online samples. The decision to focus on Russian/Soviet composers was the result of a few different factors: I have a big heritage in Russia, and I wanted to let some of that flavor into the game. I started to see my game as a sort of loose homage to Tetris, which also used Russian classical music to great effect (including a piece from Nutcracker). And most importantly, Russian composers are just plain great! The Russian theming really helped to inform the game back, too, and helped inspire the idea of an endless pollution-induced winter as is depicted in the game, the TV broadcast-style opening, and the main character’s design. Everything just fit together very nicely. CG: I remember you saying that you like to listen to the music to the game while developing the game. Can you expand on that a bit? GL: I think every game has a very particular internal rhythm, and feeling that rhythm while you play is an important part of what makes a good game great. As the creator trying to locate that and express it, it’s like pressing your ear to a block of marble and hearing the statue inside, waiting to be carved out. Just as the music co-inspired the game’s theming and style, it also co-inspires the game’s pacing and feeling. Constantly visualizing the game is very necessary while I work on it, to inform every detail from the size of an enemy to the animation curve of a menu button. Listening to the right music puts me in the proper headspace to do that. I generally build playlists while I’m working, not just of the game’s actual music, but of other tunes I happen to be into at the time, and I generally come to see those non-soundtrack songs as “honorary members” of the game soundtrack, too. CG: What’s next for you? Any other games in development? GL: I hope to work a lot this year and put out many more games in the coming months. As I was finishing Sling It! I already made a lot of progress into my next game. I haven’t formally announced it yet, but it will be called “Perfection.” and it’s a tranquil, simple puzzle game in which you cut shapes to fit into outlines. Screenshot from Perfection, coming soon! 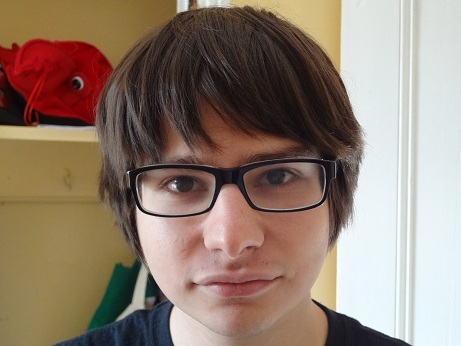 For more information on Greg Lobanov and Dumb and Fat Games, you can check his website out here. Special thanks to Greg for responding to my questions so eloquently, Doug for putting up with the deadlines I kept altering on the work, and Sharon Torello from LocalArtsLive for helping Doug and me connect with Greg in the first place. It’s been a while since I’ve posted an interview that I’ve really liked. Emily Reese’s interview of Matt Uelmen on Minnesota Public Radio somehow slipped through the cracks on me. He’s one of my favorite composers. His work in Diablo II still reminds me of my youth- hacking and slashing down Meph runs, getting my items stolen by people who said they were my friends, tricking people into thinking I was trading them a Shako when it was actually just a green hat, etc etc. Not really great memories, I guess. BUT MEMORIES ALL THE SAME. I’ve mentioned his involvement with Torchlight II briefly in an older post and highlighted a small interview with him. This interview, though, is really at length and really lets you hear what the composer has to say about his music. It’s definitely worth listening to, even though it’s a couple months old. It’s great to hear him list his influences and explain his tracks in detail. He’s not just some composer who presses the buttons on his computer and makes sound. I wasn’t surprised to hear that he knows a lot about theory. His compositional technique seems really solid. You can find the complete interview HERE. It’s only about 17 minutes long. Check it out and let me know what you think! And I love that he’s a real nerd. My fellow blogger over at [Score.] brought to my attention an awesome interview by Square Enix Music Online with Miki Higashino, composer of the Suikoden series. Check out the full interview here. 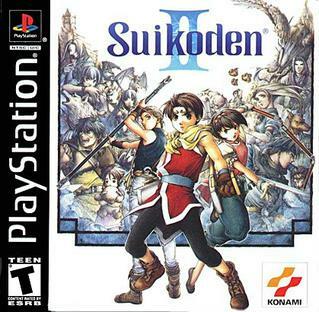 If you’re AT ALL a fan of Suikoden, you will definitely need to read this. Chris Greening does an EXCELLENT job. Everyone on Konami’s sound staff, not just I, spent countless hours working on music and sound effects, trying to overcome the limitations of the sound systems we worked with. You had to be persistent, and keep going through the process of trial and error — just the image that one holds of a Japanese salaryman. Watching them, my perceptions of music and work changed dramatically. At the beginning of the project I spent two days reading through the scenario, and even then I had come up with ideas for the music in my mind. The development team wanted theme music for every character, but with 108 characters joining the player’s party, it just wasn’t feasible. Personally, the only characters that stood out to me were Neclord and Millich Oppenheimer (laughs). Suikoden II was on an even larger scale than its predecessor, as I knew the moment I laid eyes on its thick scenario. As there was a clear increase in the number of cities and towns, I felt there was a need for a more methodical compositional process. I would begin by looking at all of the maps I’d received, and think about what kind of people would live in each area and what kind of culture they would have. What kind of climate, races, and industry would there be? Then I would decide on Celtic and early music here, with Spanish music and fado in the city to the south, Middle Eastern music over there, for the ninja village, Japanese music, of course, and so on for each area. You enter a city, and it’s as if you can hear the music that would actually be performed there, somewhere; isn’t it a bit like taking the player on a journey around the world? So I spent that time searching for and listening to all kinds of folk music and ethnic pop. It is EXCELLENT to see that Higashino was so involved with the story and plot of the Suikoden games. I’ve always noticed that her tracks definitely fit the environments and her town themes are absolutely awesome. It is VERY apparent she spent a lot of time sketching out the music for Neclord, as she says. I’ve often wondered why Neclord’s music was so involved. I mean, she wrote this very involved passacaglia just for Neclord’s castle… which constitutes maybe 15 minutes of total game play. The rest of the interview focuses on the other musicians she worked with and inspired. It’s interesting to see her paired up with Yasunori Mitsuda. I also find it fascinating that she lists her best work as an arcade soccer game. Here’s some gameplay. And 108 themes? That would have been amazing. I’m still really satisfied with her output in the games, regardless. Feel free to post any comments and/or corrections! Got a favorite track by Higashino you want to share? Do it! And of course, read the interview because it’s awesome. As a follow up to highlighting Tim Follin’s work, this interview I found on YouTube explains a lot about Follin’s personality, influences, and general attitude toward game music. It’s in two parts and worth listening to. I promise. The man’s words speak for themselves. I’ll open everything to discussion below. Tomorrow, I’ll highlight composer Jun Ishikawa. Not the author. The composer.